If you’re anything like us, you love live music. From the drums, dirt and big riffs of Glasto to the jaw-dropping grandeur of a symphony orchestra, live music hasn’t lost its appeal. In fact, nearly 31 million people attended live music events across the UK in 2017, up 12% from the previous year. Unfortunately, live music could be damaging your hearing. 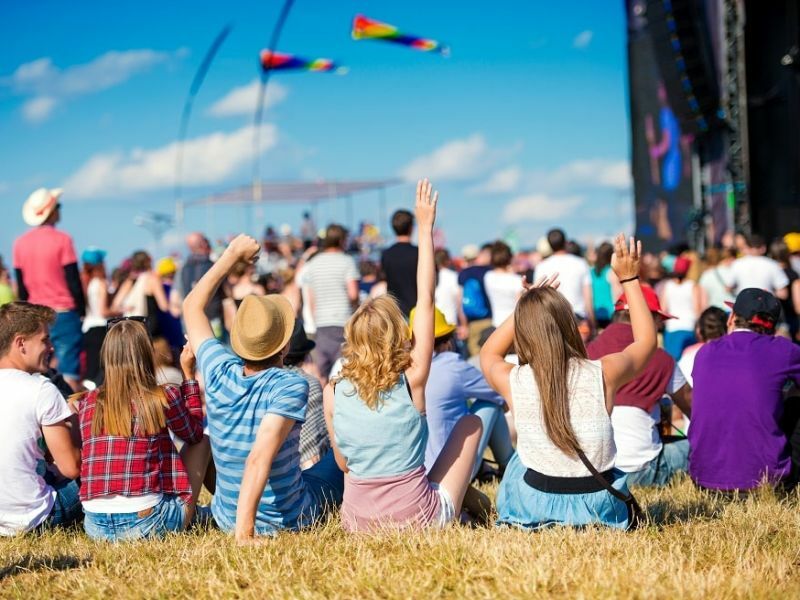 The UK sets no statutory limit on the volume of live music, meaning concerts can exceed the dangerous 85 decibels level that could harm your hearing. Live music regularly reaches 100-125 decibels. The risks are clear: loud noises can damage the delicate inner ear array that converts sound signals into electrical signals your brain can then process and understand. With hearing loss on the rise and 11 million people in the UK – we all need to take better care of our hearing. Luckily, there’s a simple trick to help protect your hearing. Inexpensive, reusable earplugs for gigs reduce the amount of sound pressure (volume) entering your ears without impairing sound quality. This means you can safely listen to your favourite band without losing the clarity or tone of the instruments or vocals. We recommend the Elacin ER20 earplugs, costing just £14.99. You can pick them up from [your local Leightons branch] (https://leightons.co.uk/branches/), they’re the perfect earplugs for concerts. Available in small and medium, the Elacin ER20 earplugs use a three-tiered silicon flange construction to create a seal within the ear canal. This prevents harmful sounds from entering the ear canal, reducing natural ambient noise levels while also letting you take part in a normal conversation. Designed to be easily cleaned and reused, all Elacin earplugs are more comfortable to wear than conventional disposable earplugs. If you need specialist earplugs, look no further than the custom-fitted PRO Series earplugs from British manufacturer, ACS. ACS makes a range of pro-standard in-ear monitoring equipment, used by musicians like Queen drummer Roger Taylor and singer Imelda May. The PRO Series product range offers sound attenuation from 10 decibels to 27 decibels, making them ideal for a huge range of applications (not just rock drumming!). Drop into your local branch of Leightons to find out more about ACS earplugs. To help you look after your hearing, the NHS recommends regular hearing tests. Leightons offers a free hearing test, undertaken by trained, qualified audiologists. Call us on 0800 40 20 20 or book online.